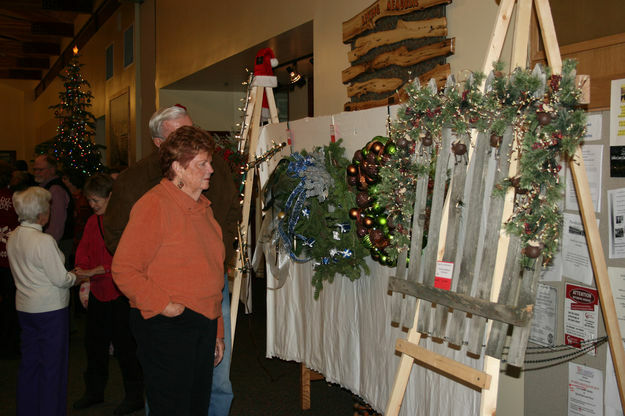 The many beautiful wreaths are decorated and donated by members of the community for the auction to support the Museum. One wreath is selected by the attendees as "People's Choice". The bidding wars are always fun to watch.